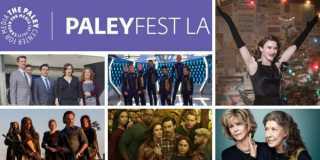 BEVERLY HILLS, CA, January 14, 2019 – The Paley Center for Media today announced the lineup for PaleyFest LA 2019, which will take place March 15-24 at the iconic Dolby Theatre in Hollywood. Citi cardmembers, plus Paley Patron, Fellow, and Supporting Members, will have an exclusive opportunity to purchase tickets first during a special presale from January 15-16. This year’s festival will open with the cast and creative team from Amazon Prime Video’s The Marvelous Mrs. Maisel (March 15 at 7:30 pm) followed by Netflix’s Grace and Frankie (March 16 at 2:00 pm); CBS’s An Evening with Stephen Colbert (March 16 at 7:00 pm); VH1’s RuPaul’s Drag Race (March 17 at 2:00 pm); FOX’s 9-1-1 (March 17 at 7:00 pm); CW’s Jane The Virgin and Crazy Ex-Girlfriend: The Farewell Seasons (March 20 at 7:30 pm – two-panel event); NBC’s Parks and Recreation 10th Anniversary Reunion (March 21 at 7:30 pm); AMC’s The Walking Dead (March 22 at 7:30 pm); Casts of CBS’s Hawaii Five-0, MacGyver, and Magnum P.I. (March 23 at 2:00 pm); FX’s Pose (March 23 at 7:00 pm); CBS All Access’s Star Trek: Discovery and its upcoming reimagining of The Twilight Zone from executive producers Jordan Peele and Simon Kinberg (March 24 at 2:00 pm – two-panel event); and the festival will close with NBC’s This Is Us (March 24 at 7:00 pm). The list of participating talent will be announced in February. “Just days before we commence shooting Season 3 of The Marvelous Mrs. Maisel, we thought we’d drop by and kick off the fabulous PaleyFest 2019. 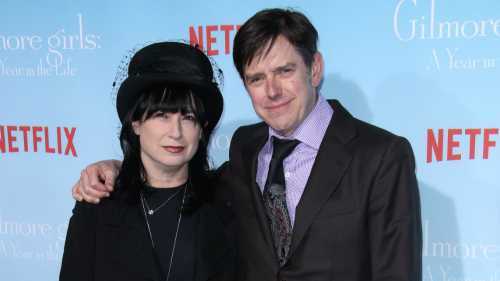 It’ll be a fun night of celebrating with fans, and the last time we’ll all look rested until August,” said Amy Sherman-Palladino, Creator/Executive Producer and Daniel Palladino, Executive Producer. “All of the other TV shows are going DOWN at PaleyFest. To show our prowess and our strength, we are bringing ten fine steeds, thirty-five different swimsuit combinations, and a two-hour-long patriotic “Tribute to America” song medley. 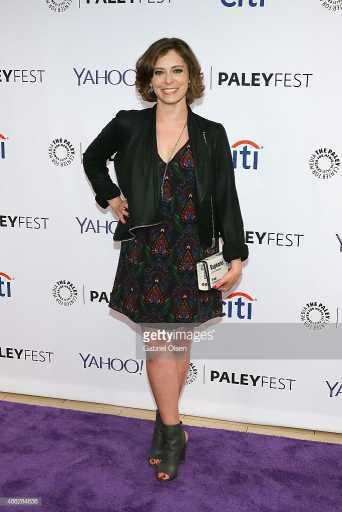 We are confident that by the end of PaleyFest we will be crowned “Best PaleyTime Show” and we WILL win the hand of the princess fair,” said Crazy Ex-Girlfriend co-creators Rachel Bloom and Aline Brosh McKenna. “We are delighted and honored to be returning to PaleyFest as this season has marked an exciting new chapter for The Walking Dead. 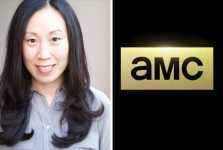 We can’t wait to be surrounded by our passionate fans to discuss the themes and threats our survivors have been facing in the new world they inhabit,” said Angela Kang, Showrunner & Executive Producer. 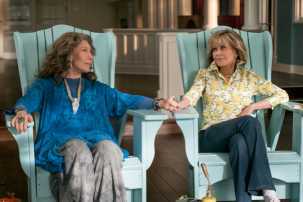 We said yes because we heard RuPaul is going to be there,” said Jane Fonda and Lily Tomlin. “For nine seasons now, our Hawaii Five-0 fans have become more like ohana and we are honored to be at PaleyFest with them, along with our friends at MacGyver and Magnum P.I.,” said Hawaii Five-0 star Alex O’Loughlin. Citi offers Citi credit card and Citibank Debit Card customers access to purchase tickets to more than 12,000 events annually through Citi Private Pass, the bank’s entertainment access program. Citi Private Pass provides presale tickets, VIP experiences, and other exclusive access to some of the world’s biggest artists and events ranging from music, sports, dining, theater, comedy, festivals, and other live entertainment. 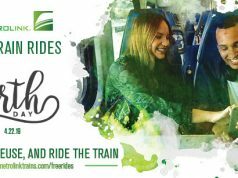 For more information, please visit citiprivatepass.com or @citiprivatepass on Twitter. JetBlue is New York’s Hometown Airline®, and a leading carrier in Boston, Fort Lauderdale-Hollywood, Los Angeles (Long Beach), Orlando, and San Juan. JetBlue carries more than 40 million customers a year to 100+ cities in the U.S., Caribbean, and Latin America with an average of 1,000 daily flights. For more information, please visit jetblue.com.